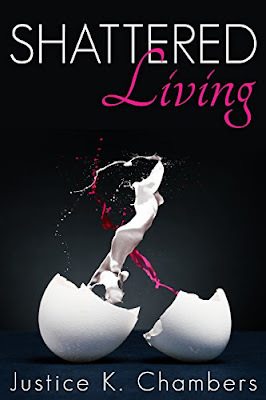 Justice K. Chambers' Official Website: Release Day - Shattered Living! Happy Release Day, loves! It's finally here! Get your shiny new copies of Shattered Living below. It's only $0.99 until October 13th. Justice K. Chambers' debut work, Shattered Living, touches on the fragility and darkness of the human state when suffering with mental illness. In this collection of fifty-two poems, she takes the reader on an eye-opening journey of inner turmoil and loss of self, then brings them to a place of acceptance, where they can learn to cope and find their light in the shadows again.